Re-growth and anti-hair loss complete treatment for men. This treatment combines both formulations in one pack. 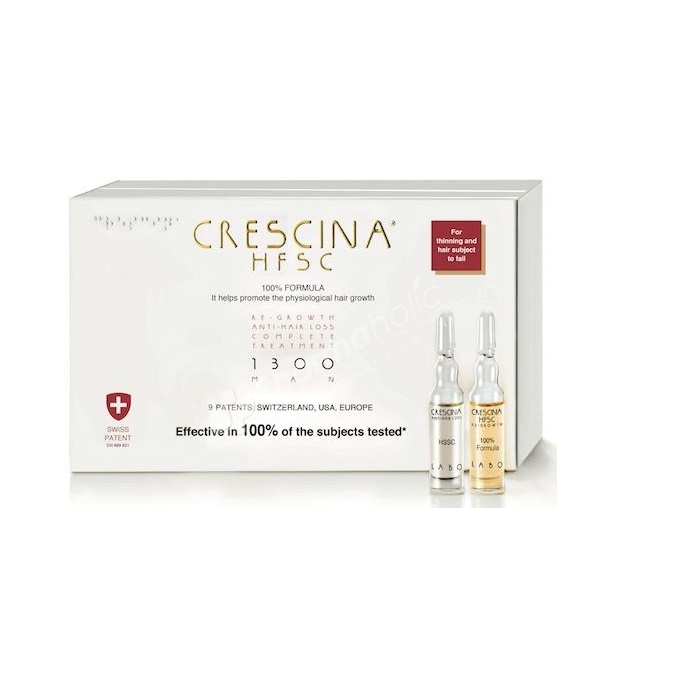 Crescina Re-Growth HFSC (amber vial) contains the patented core of Crescina Re-Growth (Cysteine, Lysine, Glycoprotein), which promotes the physiological hair growth. Crescina Anti-Hair Loss HSSC – Enhanced Formula (transparent vial) blends the basic active ingredients with the HSSC complex, which helps prevent and hinder the physiological, non-pathological, causes of hair loss. Cysteine, Lysine, Glycoprotein, Stem-Engine, Hydroxyproline, Aspartic Acid, Enzyme Activator and Taurine.